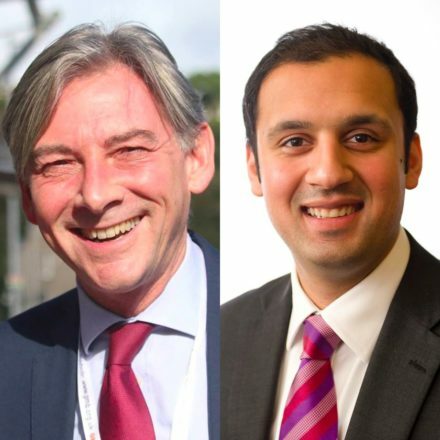 This first members’ debate in the Scottish leadership contest set an excellent tone for the race – with any disagreements covered in about as pleasant a way possible, and most of the ire of the two men involved reserved for the failings of the nationalist government in Holyrood, and the Tories in Westminster. Exactly where it should be targeted. The fear for many when Kezia Dugdale decided to pass on the leadership baton, was not just that this would be the third year on the trot when Labour would have to go through the rough and tumble of a contest, but also that any divisions in the party, recently healed, could be ripped open once again. No one, no matter where they sit in the broad church, wants that – and it is certainly not what any of our nations need. That this was a comradely debate from the two figures, with lots of nationalist bashing, was just so needed. Exactly what is needed in Scotland, to show quite how it is that the SNP continue to fail to deliver on their progressive rhetoric, which I’ve written about before. The debate was held in Glasgow, where as Anas Sarwar pointed out, “50 per cent of children who live in this city are deprived”. Richard Leonard highlighted how a fifth of Glaswegian workers earn “less than the Living Wage of £8.45 an hour”. Truly, in Scotland’s largest city, we can see the legacy of a decade of SNP mismanagement. Both men also made clear their opposition to nationalism, with Leonard unequivocal in his backing for the Union. The elephant in the room was of course how we, the party of equality, are having yet another leadership contest where a man will be leader at the end of it. Both men made clear how much they dislike the fact, and have committed to doing more. It is neither one of their’s fault that it is the inevitable end point is another man in Labour’s top team, but my goodness me it isn’t good enough. Scottish Labour Women’s Voice has been started by a grouping of key figures representing women on all sides of the party encouraging the candidates to commit to getting more women into leadership positions, given this issue. Both candidates have committed to supporting their five key pledges. Overall, it was not a debate of headline grabbing comments, but it indicates that we’ll have a positive contest over the next few months. The chair Linda Stewart ended by saying whoever wins, Scottish Labour will be in good hands. The evidence of tonight’s debate would seem to absolutely back her up on this. It’s just a pity that she was the only woman on the stage. You can read the full timetable of the leadership contest here. You can watch back the full first leadership hustings here.